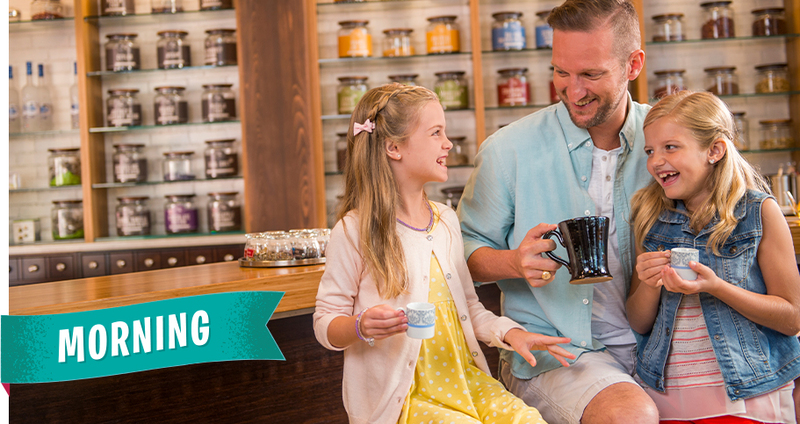 Discover the eclectic mix of shops, restaurants and lively entertainment at Disney Springs®, an outdoor marketplace where you can indulge in some unforgettable time with the whole family. Exploration opportunities are endless with a don’t-miss lineup that includes the world’s largest collection of Disney merchandise, family-friendly waterfront dining and epic views by water, land or hot air! Stock Up On Gear at World of Disney® – No trip is complete without a stop at World of Disney®. Fans of all ages will love browsing the masterfully curated collection of huggable plush characters, colorful Mickey and Minnie Ears, and fashionable collaborations from top brands. It’s the world’s largest collection of Disney goods—in a setting where elements in the store come to life through enchanted displays. Enchant Your Look at Bibbidi Bobbidi Boutique – Fairytale dreams come to life at this enchanted beauty salon. Boys and girls ages 3 to 12 can stop in for a magical makeover courtesy of Fairy Godmothers-in-Training. They’ll be pampered and primped until they’re storybook-ready with hair, makeup, nail color and accessories (even a costume! ), or transformed into a brave knight primed for their next adventure. 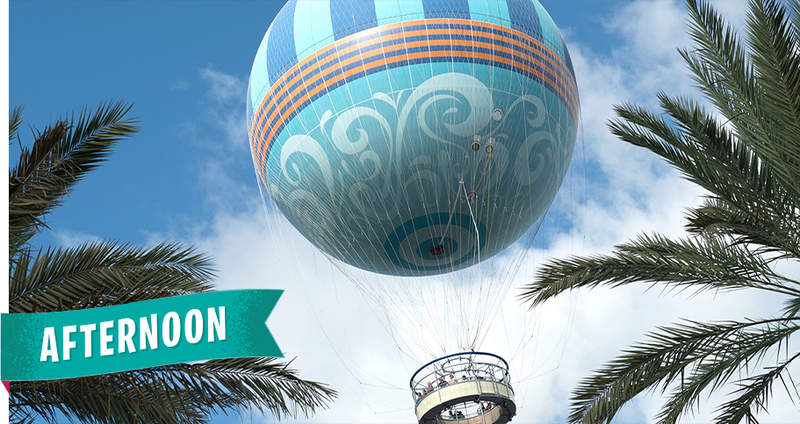 Get a Grand View from the World’s Largest Tethered Helium Balloon – This 8-minute balloon ride experience affords you some seriously stunning views of Walt Disney World® Resort and its surrounding landmarks. On a clear day, you’ll spot sights up to 10 miles away! This enchanting flight, on a hot air balloon custom-built for Disney, takes you 400 feet into the sky for breathtaking, 360-degree vistas. Amp-Up the Competition at Splitsville Luxury Lanes™ – Splitsville Luxury Lanes™ is not your typical bowling alley. An upscale and modern spin on a classic American pastime, this retro-glam attraction spans 50,000 square feet, 2 floors and 30 bowling lanes, and has plenty to keep your loved ones entertained – from billiards tables to live music and dancing. There’s even an eclectic family-friendly menu from celebrity chef Tim Cushman. 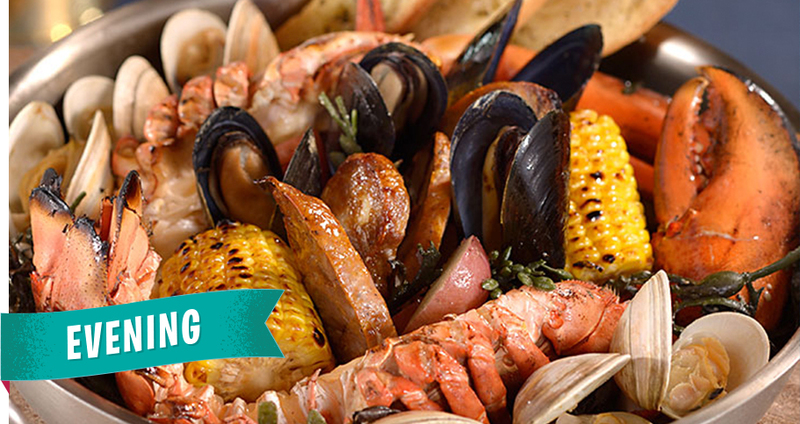 Enjoy Dinner at The BOATHOUSE® at Disney Springs® – The whole family will enjoy waterfront dining while taking in a parade of rare boats from the ‘30s, ‘40s and ‘50s – from American Amphicars to Italian Water Taxis – during this Florida-style surf and turf foodie experience, which centers on fresh seafood, premium steaks and a crowd-pleasing kid’s menu. And definitely don’t leave without ordering the gargantuan Gibsons s’mores baked Alaska (for 4)! Explore Lake Buena Vista with an Amphicar Tour – Finish dinner with a splash on a 25-minute Captain-guided Amphicar Tour of Disney Springs®. These rare and vintage vehicles drive on land and float in water, delivering an unforgettable and thrilling experience that you won’t forget. Produced during the 1960s, fewer than 400 Amphicars exist in the world today. Adults, Head Over to The Edison for Live Entertainment – Tuck in the kiddos and treat yourself to a magical evening at The Edison, a posh 1920s-inspired hotspot with classic American bites and craft cocktails. This exuberant nod to Old World sophistication features soaring 35-foot ceilings and an industrial gothic style that exudes the perfect touch of romance. 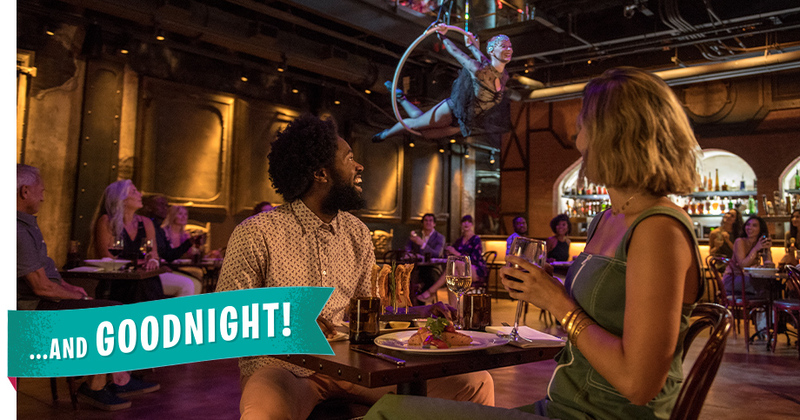 Settle in to any one of the themed areas, like The Tesla Lounge or Radio Room, and take in a steady lineup of entertainment such as aerialists, live cabaret and DJ-spun tracks that will add a lively soundtrack to your evening. Not yet a Cardmember? 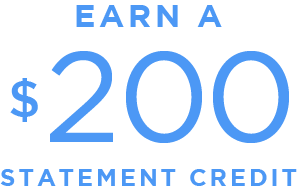 Discover Disney Rewards and make your next Walt Disney World® Resort vacation out-of-this-world.